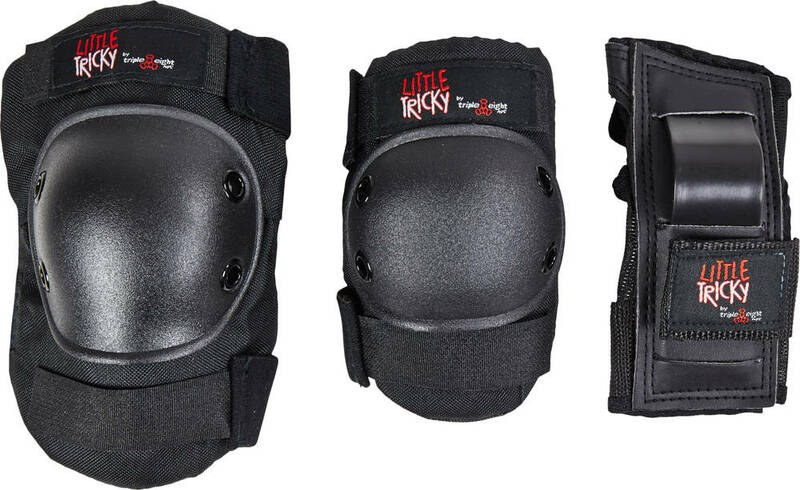 Complete protective set for juniors from Triple Eight with Knee pads, Elbow pads and Wrist guards, a convenient 3-pack. A good choice for skateboarding, skating or biking. 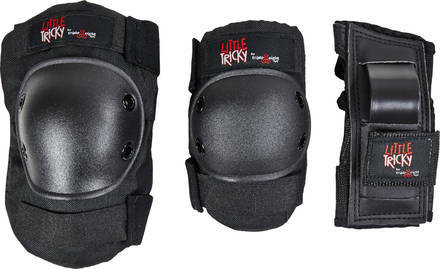 The knee pads and elbow pads are made lightweight and with protective EVA foam padding. 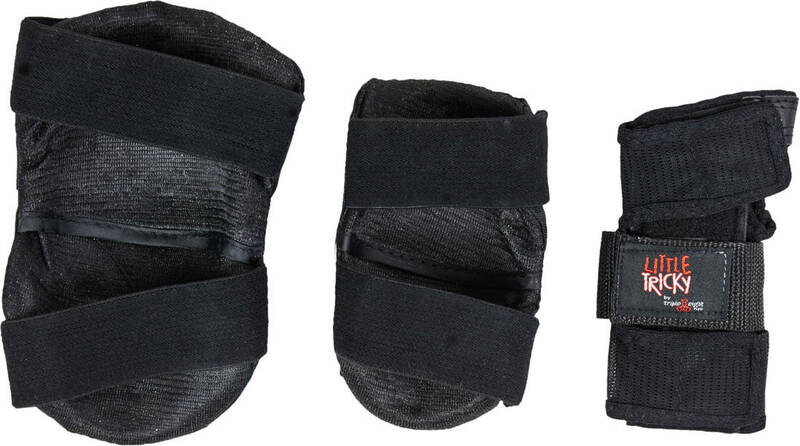 The wrist guards are made of 4-way stretchable nylon mesh with reinforced double stitching. Made lightweight and with shock absorbing EVA foam. Also they have high density impact resistant splints. The wrist guards offers great support and protection with high density impact-resistant mould.